In the mists of time of First Men and the Children of the Forest, from the Land of Always Winter, death and winter came to Westeros in the form of the White Walkers. Que the present day Land of Ice and Fire and those buggers are back after a very long summer and all frozen hell is about to break lose on Game of Thrones. We're going to need a magic potion and, fortunately, I just happen to have one, including a little magic trick and some mezcal. That trick is one I use a lot in my frozen drinks and it employs a little blasting of extra cold. You can make a truly smooth, White Walker worthy iced cocktail by pre-freezing the cocktail mixture ahead of time. Because of the alcohol content the mix will not freeze solid but pre-freezing will help make a truly frozen drink, one with smaller ice crystals for a smoother drink. It's not absolutely necessary, you can simply blend the unfrozen ingredients with ice, but the cocktail will be more diluted and not White Walker level chilled. Little Tip: You can store the frozen cocktail mixture for up to a week. 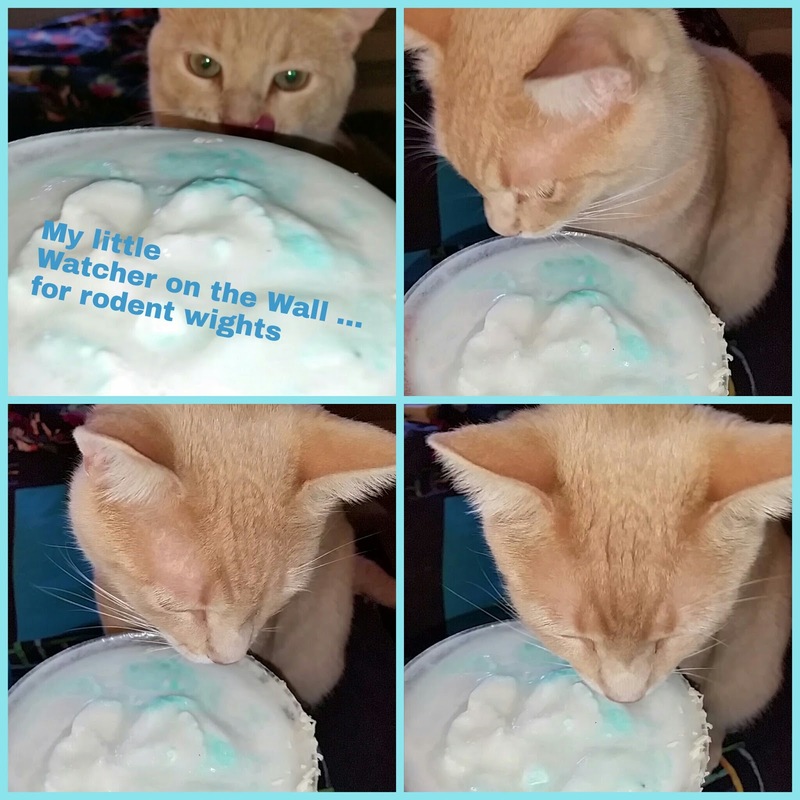 Before an outing in my RV, where I didn't have a blender, I would often prepare frozen cocktails in my house ahead of time, pack them in baggies in my motorhome freezer, freeze them and then just take them out, squish them in my hands and pour them in the glass. DIRECTIONS: The night before, or first thing in the morning, of the day you want to serve your cocktails, combine all the ingredients, except the ice in the ziplock bag and zip it closed. Give the bag a couple of really good shakes and place it in the freezer. Dip half the rim of the glass in some cream of coconut then into the coconut flakes then chill your glass in the freezer. When you're ready to serve your cocktails, empty the semi-frozen mixture into your blender, add the ice and blend on the highest setting until smooth. 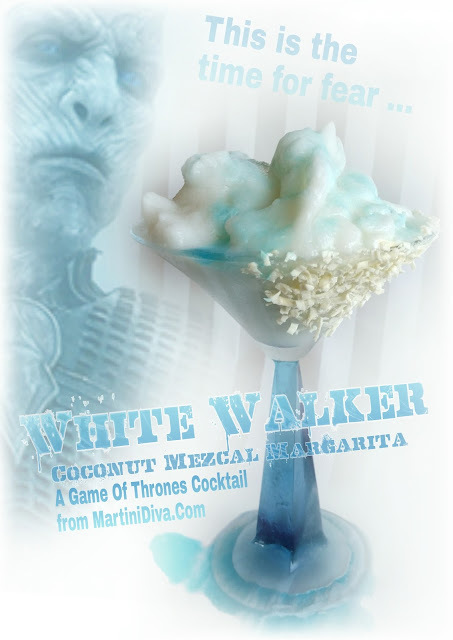 Pour into your chilled glass, create a big mound of icy goodness, drizzle the Blue Curacao over the top, letting it drip out the glass like the blood of the Night's King, and serve - with a straw so you don't get any White Walker blood on your hands. This is an easy recipe to batch for multiple drinks, just multiply the ingredients times the number of drinks you want. Yes, Bailey was on his Night Watch and got all up in my drink ... again.